This recipe is very much like those lemon-herb rotisserie chickens you find in grocery stores and fast-casual restaurants. The advantage is that by cooking it yourself you get it hot and fresh off the grill, not out of the box. Combine broth, lemon juice and zest, and seasonings in a bowl. 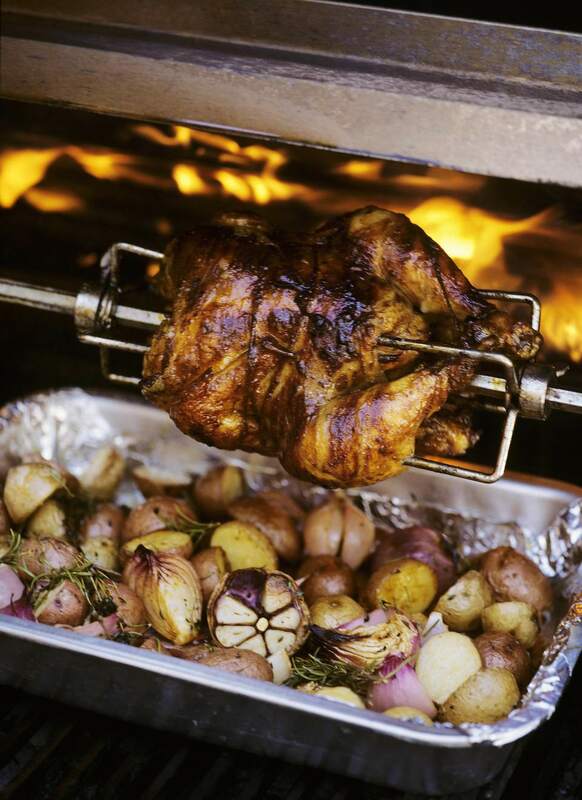 Baste chicken with mixture and place on ​the rotisserie on preheated grill. Cook for about 35 to 40 minutes at a temperature around 400 F (205 C), basting frequently with mixture. When done (reaches an internal temperature of 165 F, remove from grill and wrap tightly in foil. Let sit for about 10 to 15 minutes, then carve and serve.